This is a great looking Bird Nest Box at a superb price, and a real treat for the veterans of wild b.. This is one of our handmade bat boxes, and comes untreated only as bats are delicate creatures, and .. This box is made from our usual solid redwood and is bigger than the robin box allowing blackbirds a.. This is a great little Rbin Nest Box, specifically designed for a Robins size and nesting requiremen.. 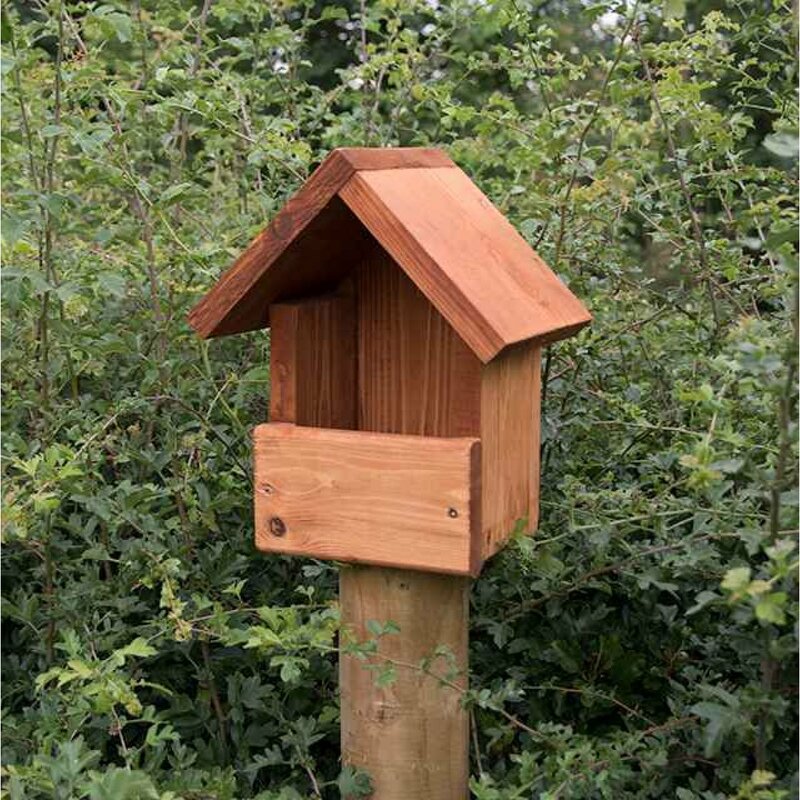 This is a great looking Bird Nest Box at a superb price, and a real treat for the veterans of wild birds.A removable front panel allows safe cleaning at the end of the season, comes c/w steel fixing brackets.